One option would be to open up our entire network to P2P torrent traffic. In P2P every node on the network is can either be a leech (just downloading) or a seed (just uploading)–but most of the time they’re both. That way, every node would both upload data (send data out) but also download (pull data in)–and if enough Malaysians are seeding that would mean that a lot of the traffic in the swarm would be local…thereby negating the need to route traffic state-side. In a rather roundabout way, we keep a lot of the internet traffic in Malaysia, rather than route it outside reducing the overall cost to the telco–which hopefully translates to lower prices for the customer. It really is a business where the more people using the service reduces the cost for everyone else. In a simplified sense, one Malaysian downloading Skyfall on bit-torrent, could then seed that same file to thousands of Malaysians locally–reducing the need to route traffic overseas by a significant factor. The reason why this isn’t happening today is simply because most Malaysian ISPs throttle torrent traffic, and when you’re leeching at such slow pace it also means you’re seeding at a very slow pace as well, so most Malaysians leech their content from overseas. If we somehow manage to create lots of local nodes (who seed)–we’d be able to keep a lot of traffic routing internally in Malaysia without the need to send them through undersea cables. 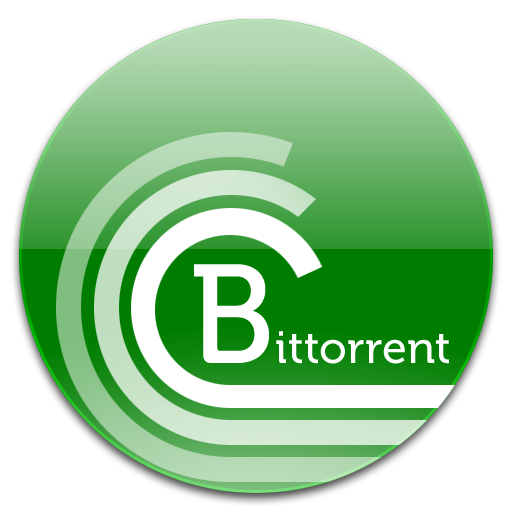 Think of it as the digital telco version of ‘Beli Barangan Buatan Malaysia’.It’s also a way for the torrent heavy downloaders to subsidize granny back, since the heaviest users of bit-torrent would also be the heaviest uploaders. Now while I agree this is an unrealistic idea–and it has a few legal technicalities like copyright infringement. I believe that if every telco in Malaysia, opened up their network to P2P traffic and actively promoted it,we could keep traffic ‘in’ Malaysia and make broadband cheaper, and it is a possibility we have to consider. Is the cost of broadband really an issue? Make no qualms about it, broadband is expensive, if 80% of Malaysia qualifies for BR1M, it means that 80% of Malaysian households earn less than Rm3,000. Even at the top end of that income scale, the cheapest Unifi Package of Rm149/month translates to 5% of their monthly salary. 5% of your monthly salary is a LOT to be paying for broadband, in most cases a person earning less than Rm3,000 a month probably isn’t paying that much in taxes. So we desperately need to find a way to reduce broadband cost in Malaysia, and in this instance I believe opening up P2P traffic would decrease rather than increase the cost of broadband. And that’s all I have to say about Fair Usage policies! A bit late to comment here. My 2¢, you forgot to mention MyIX and it role to reduce international traffic. It also can employ webcaching & P2P caching techniques to improve out going traffic. Use caching techniques on ISPs side (members of MyIX) is not copyright infringement. However, ISPs should be more creative to deploy P2P caching service like twitter, https://blog.twitter.com/2010/murder-fast-datacenter-code-deploys-using-bittorrent & use commodity hardware as petabytes size storage cost less than USD$ 100K . 3rd, to simplify strategy on what you want to achieve by “Beli Barangan Buatan Malaysia”, ISPs can upgrade their heavy users into smaller cache node (P2P node – in thousands; nearest to local clusters) into business partner which some can download up to 6TB per month using UNIFI 20Mbps, http://www.malaysianwireless.com/2011/04/tm-deal-with-heavy-down-loaders-on-unifi/. Cost for hardware -» (RM899 – desktop drive) https://forum.lowyat.net/topic/1332990 and overhead probably RM200 – 300/month (no need for service level guarantee – just make sure always ONLINE). In order to secure the cache contents, encrypt the hard disk & establish secure link with backbone via unifi/streamyx – Ta Da… (thousands of bittorrent nodes were born). The other issue with being a host is the electric costs too and TM’s new faster download packages that have slower uploads than before. Many ISPs like to give lower uploads than downloads which isnt limited by technology anymore. If solar panels were cheap and common this would reduce the electrical costs. The other problem is that even malaysia’s internal backbones wont be able to handle the load and im not really talking about the link speeds of fibre optics rather the lack of hardware resource to maintain all this traffic. If you ever ran a ppp scanner you will find your ISP using only 1 PPPOE server. Here in the UK my ISP used 4 PPPOE servers in my area which means the load is balanced across 4 servers so when you connect to PPPOE it uses the fastest server to reply. Having a really good router to connect to 2 of the nearest ones and having packets automatically choose the best server at a time also makes better use of it. Nowadays routers can be used as seed boxes by attaching a hard drive to it so theres a lot of cost savings there for setting up your own p2p data distribution. If only ISPs werent so stingy on the uploads.